Text messaging(texting) is the possibly the simplest and most low-fidelity way to communicate. Whether personal or professional, texting is replacing emails for concise communicating. Enter eText. The SMS app that allows for Bcc messaging. How to start a conversation with multiple people by using the same message without starting a group conversation. How to add a Bcc recipient to an existing conversation. 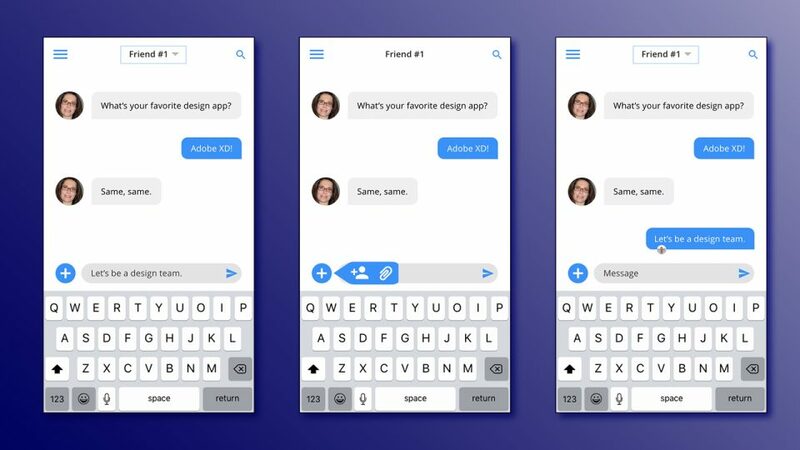 To solve this issue, the design needs to visually mirror the Messages and Facebook Messenger interfaces. This provides accuracy for an interactive prototype. The goal of the eText prototype is to add functionality without impeding the user experience. Adobe XD and its overlay function provide simple interactivity to the prototype. Solution for the first problem: I cloned the ‘To’ field and placed it right below. This allows the user to select all intended recipients in either or both fields on the same screen. Solution for the second problem: The plus symbol offers the option to attach content(pictures, GIFs, and more). The added Bcc feature is the first option when pressing the button. This personal challenge helped me to narrow my focus. As I developed the added feature, I began to think of more features to add. However, my mind re-focused to create an option that does not inhibit usability.